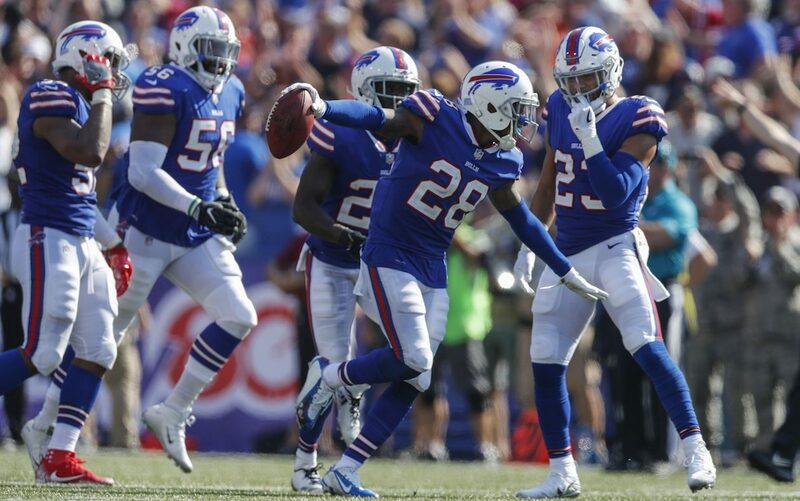 The Buffalo Bills made another move Monday to solidify their depth at cornerback by signing E.J. Gaines, the team announced. Gaines, who spent 2017 with the Bills and 2018 with Cleveland, agreed to a one-year deal. He’s the second veteran free-agent cornerback added this month, joining former No. 1 draft choice Kevin Johnson, signed away from the Houston Texans on a one-year contract. Johnson, given his athleticism and draft standing, has to be viewed as a significant challenger to incumbent Levi Wallace as a starting cornerback opposite Tre’Davious White. But Gaines, 27, adds to the competition. He has played in 43 games and started 38 over the past four seasons. Gaines started 11 games for the Bills in 2017 and was a solid contributor. He's particularly effective in the Bills' preferred zone coverages. The Bills opted to let him leave in free agency after the season and hoped they had an upgrade at the position when they signed former Pro Bowler Vontae Davis. That move didn’t work out as Davis struggled to regain his former starting form and retired in the middle of the second game of the season. Gaines was hoping to parlay a one-year, $4 million deal with Cleveland into a bigger free-agent contract in 2019. But Cleveland drafted cornerback Denzel Ward in the first round, and Gaines found himself in a backup role. He played in six games, starting two, before his season ended in November when he suffered a second concussion of the campaign. Durability has been an issue for Gaines. He missed five games in 2017 with a combination of groin, hamstring and shoulder injuries. He played 59 percent of the snaps for the Bills that season. He missed five games in 2016. Gaines said he has fully recovered from his concussions from 2018. Johnson also has been troubled by injuries. He missed virtually the entire 2018 season due to two concussions. Gaines was acquired in mid-August 2017 in the trade that sent Sammy Watkins to the Rams. Gaines said he’s looking forward to having a full offseason in familiar surroundings. Gaines is the 14th veteran free-agent signing for the Bills in the past six weeks.